It’s meal planning time! 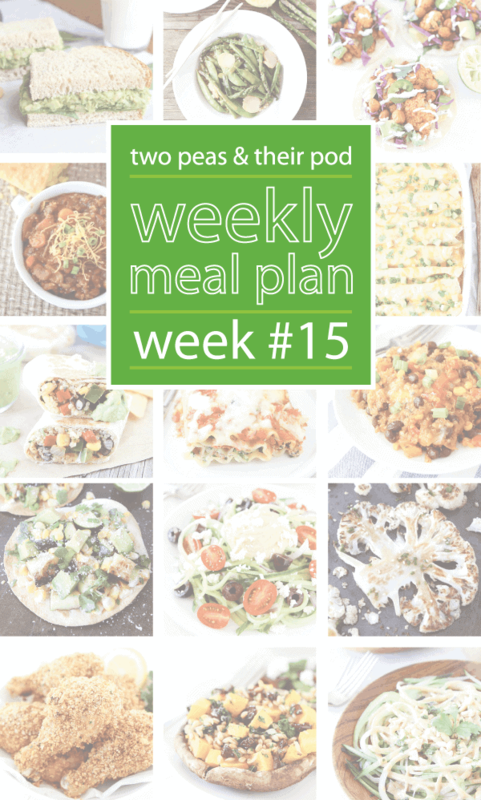 We hope you find this week’s menu helpful! Enjoy! Monday (4/27): Spring Vegetable Stir Fry with Lemon Ginger Sauce– this simple and healthy stir fry is loaded with spring green vegetables. The lemon ginger sauce is light and refreshing! Tuesday (4/28): Spaghetti with Sun-Dried Tomatoes and Spinach-this pretty pasta dish is easy to make and full of flavor! We like to use whole wheat spaghetti, but any will do, even gluten-free pasta! Blend up Strawberry Nutella Milkshakes for dessert! Wednesday (4/29): Pesto, Artichoke, and Havarti Grilled Cheese-grilled cheese night is always a good night! Serve with cut up veggies and fruit! Thursday (4/30): Lemon Chia Seed Pancakes with Roasted Strawberries-we love making breakfast for dinner! Serve eggs and bacon on the side. Friday (5/1): Lemon Arugula Pizza– thin crust pizza with fresh mozzarella, parmesan, arugula, and a splash of fresh lemon juice! TGIF! Saturday (5/2): Raspberry Almond Scones– a sweet treat for breakfast, brunch, or any time of the day! Eat leftovers or go out for dinner! Sunday (5/3): Vegetable Spring Rolls with Peanut Dipping Sauce-these rolls are fun to make and eat! Make Quinoa Fruit Salad to go with and Brown Sugar Butterscotch Cookies for dessert! Note-there are several lemon recipes this week. Stock up on lemons so you don’t have to go back to the store! If you make one of our recipes, take a picture and share on Instagram! Use the hashtag#twopeasandtheirpod! We want to see what you are making in your kitchen! And don’t forget to follow us on Instagram! 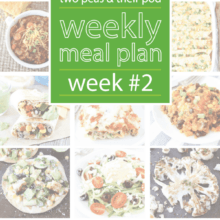 And remember, we created a Weekly Meal Plan section on our blog so you can get inspiration from all of the weeks! Yes! I love that shake! I love having stir fries- such an easy dinner! I think that strawberry nutella milkshake is calling my name! 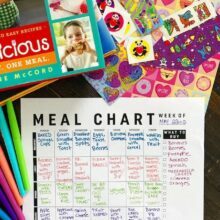 I love these weekly meal plans, they help me keep my sanity. So helpful! Great post!